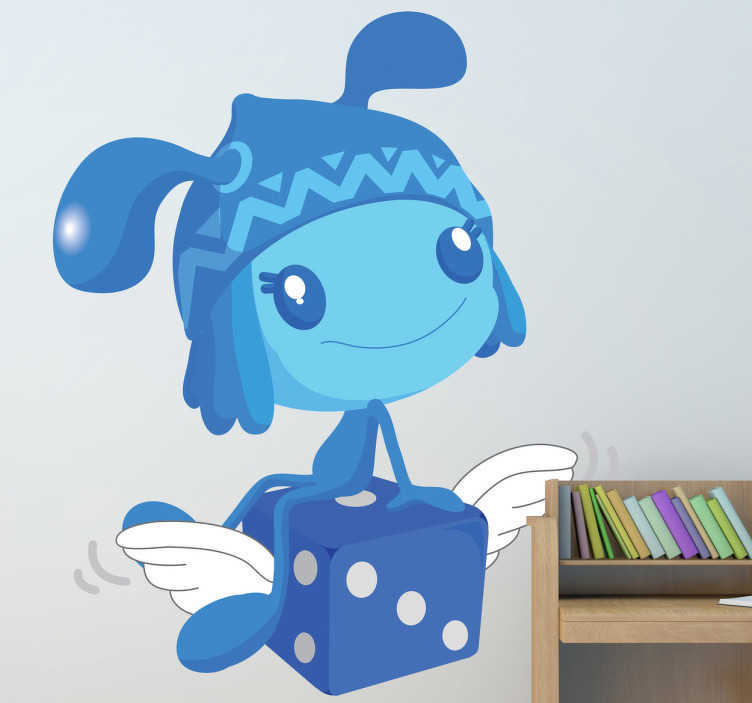 Kids sticker of a sweet blue pixie sitting on a flying dice. Perfect for children's playrooms. This smiling pixie will cheer up any plain wall and can be placed anywhere to add a touch of fun.